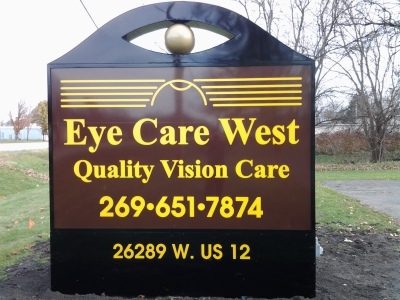 Eye Care West was founded in the 1960s. It has since been providing quality eye care to the Sturgis area. Patients come from the surrounding area to have their eyes examined by the professionals here. We have a wide variety of frames to choose from if you would like to update yours. We also offer many services such as emergencies, removing objects from eyes, managing diseases, contact lenses, pediatric exams and routine care. Our professional staff would love to greet you and answer your questions. We do offer same day emergency appointments but ask that you schedule comprehensive eye exams ahead of time. We would love to serve you as our patient!